Haven’t you heard that “breakfast is the most important meal of the day”? So many people admit to skipping breakfast due to a lack of time in the mornings to prepare anything healthy. However, those who skip breakfast are actually decreasing their metabolism by almost 15%. To help the breakfast skippers out there, we found this great recipe from that offers a solution to give you a breakfast that is quick, easy, and protein packed. 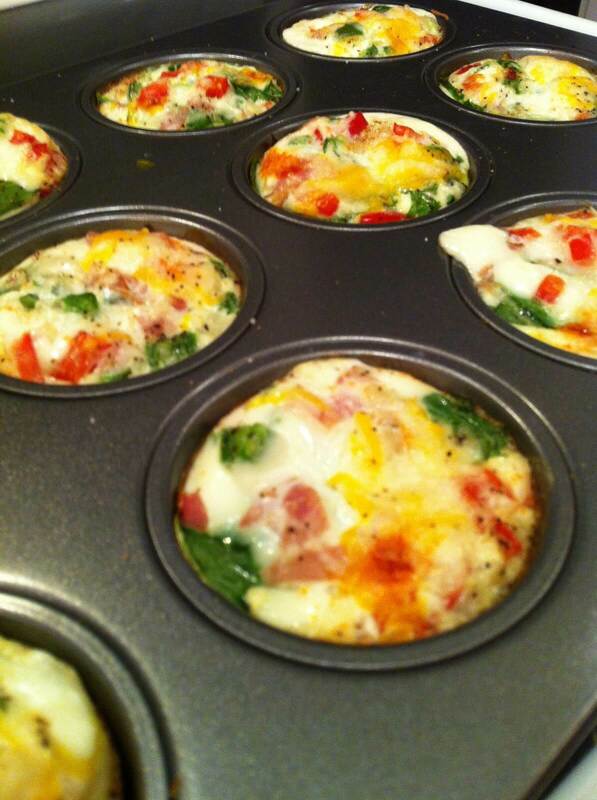 On top of all of those awesome things, these egg white muffins are DELICIOUS! Just follow these few steps and you’ll have breakfast for the whole week! Add 1/3 cup liquid egg whites or 2 eggs per cup. Let cool completely and then separate the muffins into Ziploc bags with no air in them. Each morning warm up the muffins in the microwave and ENJOY! Use this easy, great tasting recipe to keep your mornings happy and healthy!